We have been cycling in Ina. Then I eat lunch in this region. Sauce pork cutlet bowl. Sauce Katsu Don. 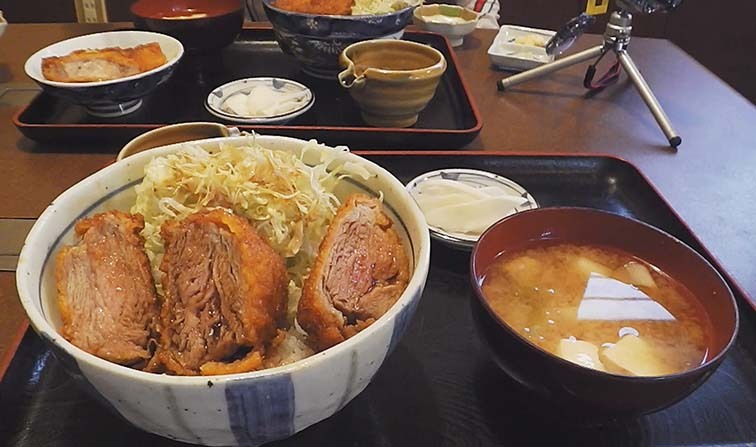 This area is famous for a Sauce Katsu Don. Besides this area, it is famous also for Fukui or Aizu. 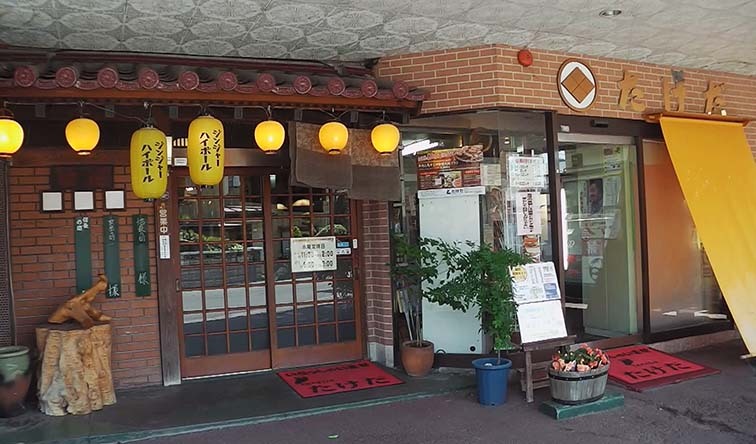 Since this region is the nearest from home, I have only ate here. Is close from the start point of cycling. Reputation in the web is good. It is the first reason I chose this restaurant. The second reason is, that this restaurant have the horse sashimi . 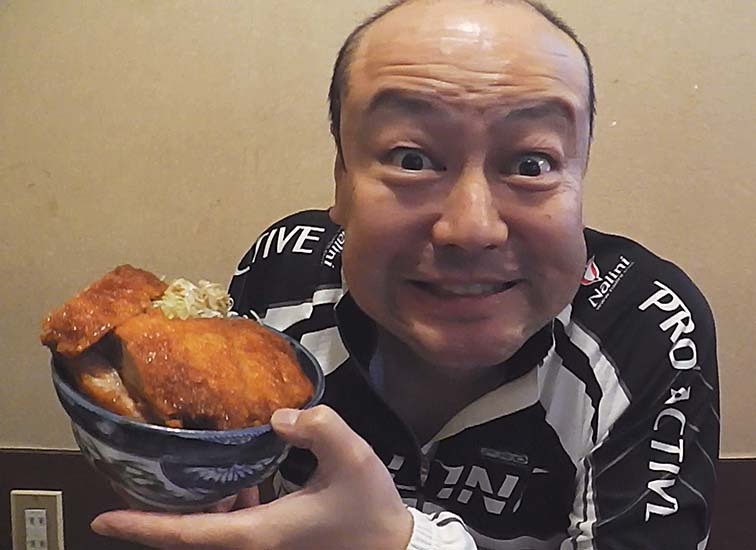 I was not able to eat the raw Ishigaki beef in Ishigaki island. Butcher is managing this restaurant. The butcher is next door. 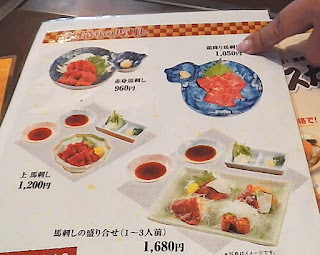 So, I think the restaurant meat is freshness and fine quality. In addition, i can buy a horse sashimi. It is possible to bring back home. The restaurant is located on the back of the main road. Appearance is like a izakaya. 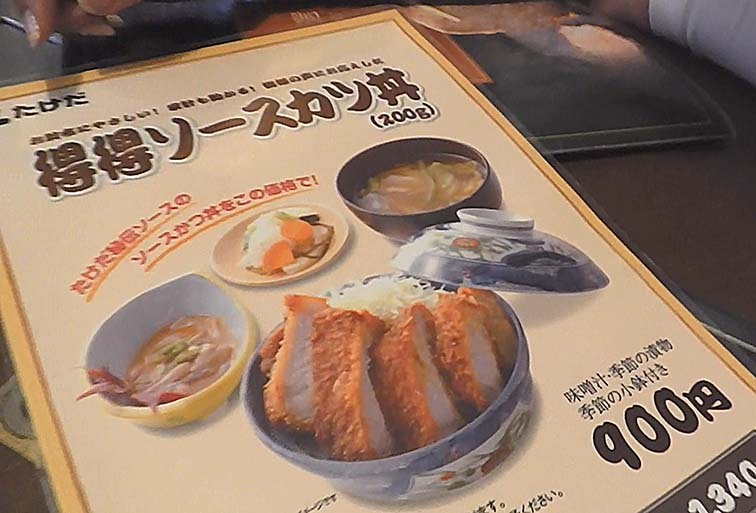 There are many different types of Sauce Katsu Don. 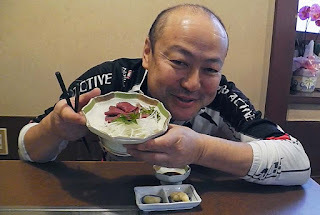 The loin is, jumbo, Otoku and mini. Filet is only one type. It does not have only ride &% km by bicycle. However, mini not suitable for boys. But I am not a "boy". 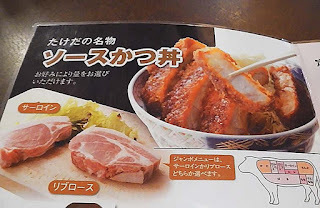 By the way, Toku-toku pork is exotic. Another, she chose the Filet. I ordered also horse sashimi. First, horse sashimi was been carried. I eat along with the garlic and ginger. 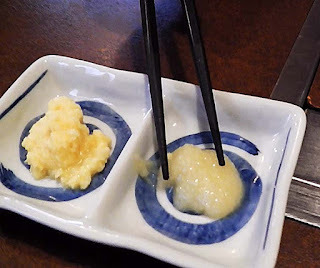 The soy sauce for horse sashimi . Taste of the meat is good is soft. 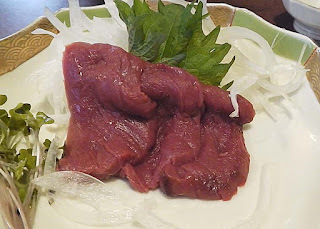 Horse sashimi is also famous for Kumamoto. Fat is often Kumamoto, Shinshu lean. When I'm eating horse sashimi, Otoku have been carried. 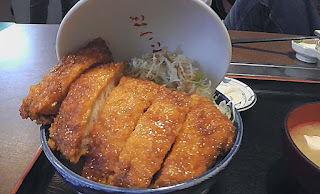 Since Cutlet is so many, the lid of the bowl can not close. But it was more than expected. Restaurant gave up that close the lid. First I will move cutlet on top of the lid . 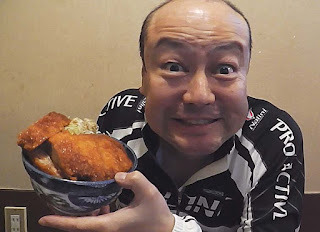 It is a chunky cutlet. Rice appears when I move it about three. It ready to eat now. Large bowl like this is able to see everywhere. The important thing is the taste. It is possible to bite off easily. So, batter and pork are not separate. So, the sauce of the batter is delicious. sauce of Sauce Katsu Don. Its sauce is soaked on cabbage and rice. It is a moderate amount. Amount is were many, but was able to eat deliciously until the end. Mustard is put it on the table, it can be used. I tried to eat Filet cutlet. 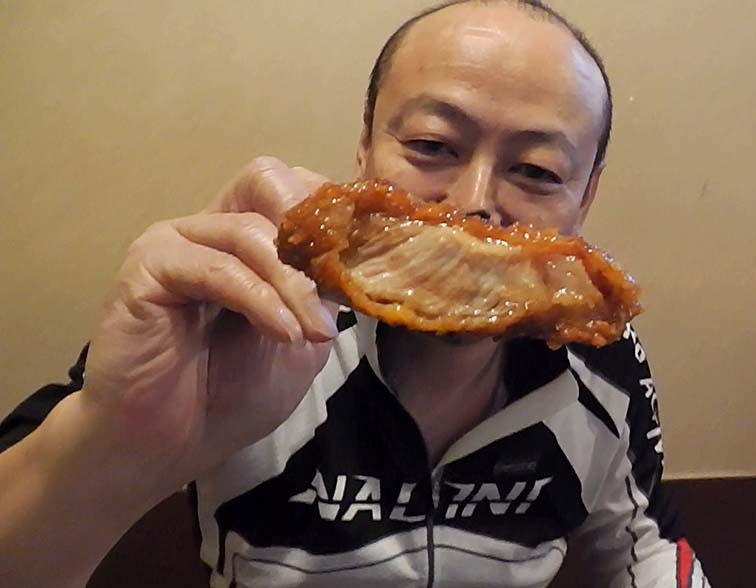 I thought, but the taste of pork is very good. This restaurant has a variety of cuisine In addition to Sauce Katsu Don. After finished eating, I went to the butcher next door. 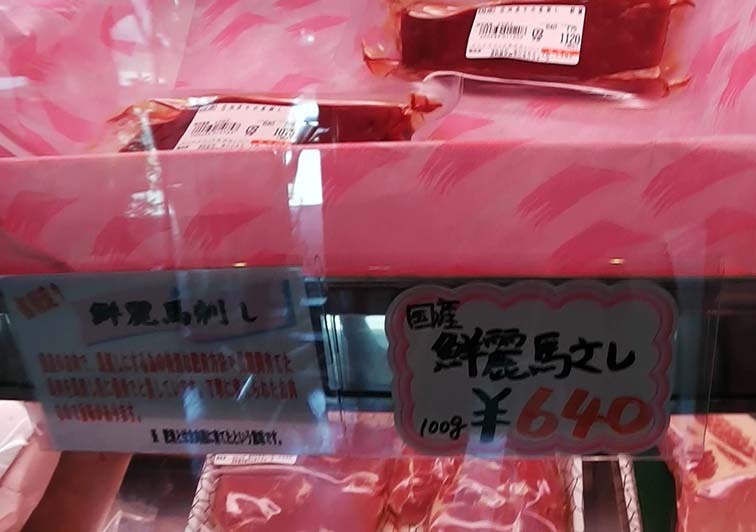 I buy a horse sashimi. I asked staff which is best one. I bought that him recommended. I'm looking forward to eat.